A group of Raipur residents got together and conducted a 12-day swachhta drive to clean the city’s entrance and constructed toilets to address the problem of open defecation. ‘First impression is the last impression’, a phrase that is commonly used was recently made trues in a rather different way, by the residents of Chhattisgarh’s capital city, Raipur as they cleaned the Pechpedi Naka which happens to be the entrance of the city. 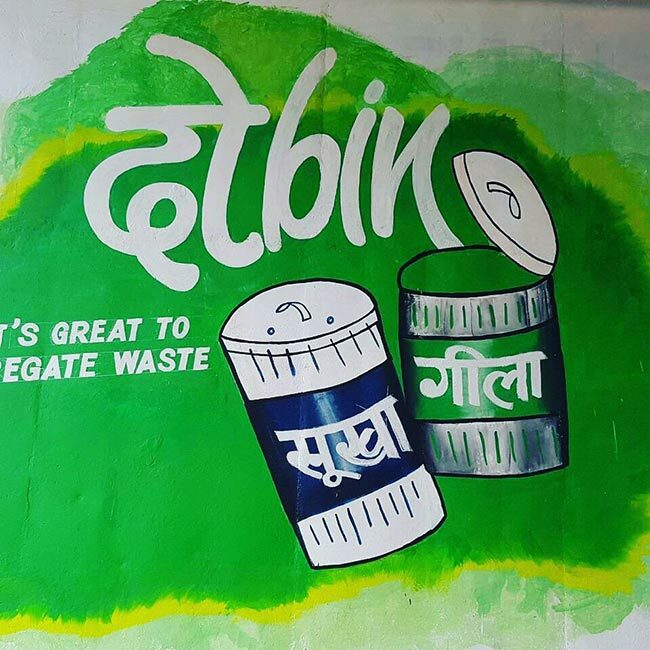 Calling themselves ‘Bunch Of Fools’ a group of volunteers felt that a road which connects Bhilai, Jagdalpur and various other places, must be kept garbage free as it is the first thing people entering the city will notice. 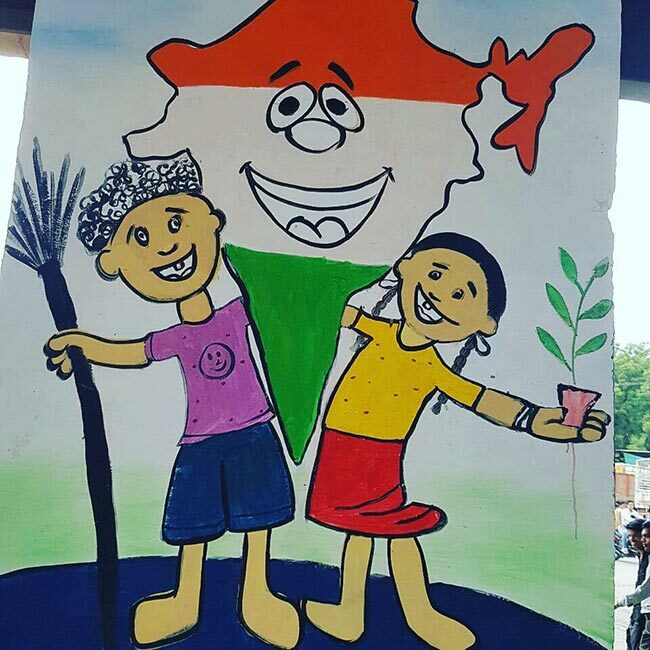 On June 21, students, professionals, housewives got together and started a non-stop cleanliness drive under the Swachh Bharat Abhiyan and cleared all the garbage by July 2. Around 70-80 volunteers initiated the arduous task of cleaning areas near the National Highway (NH) 30 from morning 5 and every volunteer would come in shifts, dedicate 2-3 hours towards removing the trash. College students would join after their lectures would get over, people who are working would come whenever they would find time throughout the day, says Satish Bhuwalka, Co-founder of Bunch Of Fools. In their initial days of cleaning, to avoid the heavy traffic, the volunteers would clean from 9 pm to 1 am, About 10,000-15,000 vehicles would enter and exit throughout day and hence we had to try a time when there was less of vehicle movement. However due to lack of lights and safety issues we changed our shift and made it 5 am, adds Satish. 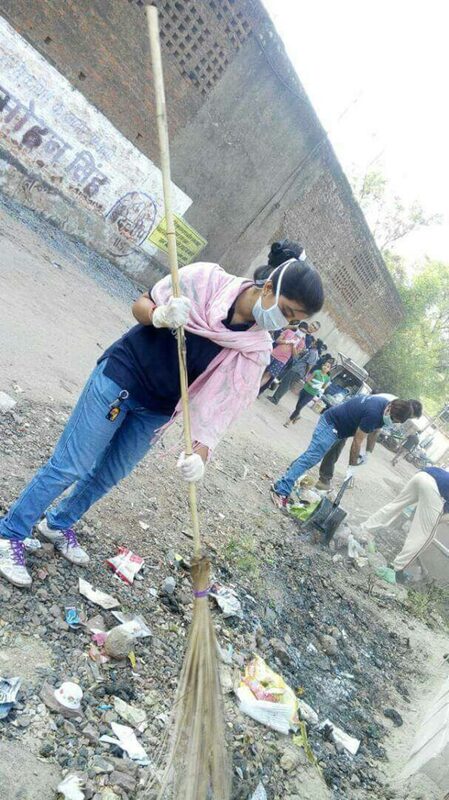 Armed with brooms, bins and other cleaning equipment, the Swachh warriors were successful in removing 300 kilos of trash from 15,000 square feet area within 200 hours. While some members were working towards clearing the garbage, the other lot approached the Raipur Municipal Corporation (RMC) with a proposal to curb open defecation on the national highway. After a request was put to the civic body, workers from RMC constructed four bio-toiletson NH30. After long hours of travel, people step down, on the NH 30 that connects the city’s entrance, to relive themselves. Often, due to lack of toilets or no toilets they have no option but to defecate in open and dirty the nearby areas. Building toilets won’t entirely address the problem but will definitely reduce the problem, says an optimistic Satish. The toilets will be maintained by the municipal workers. As the monsoon season is at its peak, the volunteers also tackled the issue of water clogging due to multiple potholes near the entrance, “All the potholes which created a huge traffic jams were closed by the civic workers,” adds Satish. 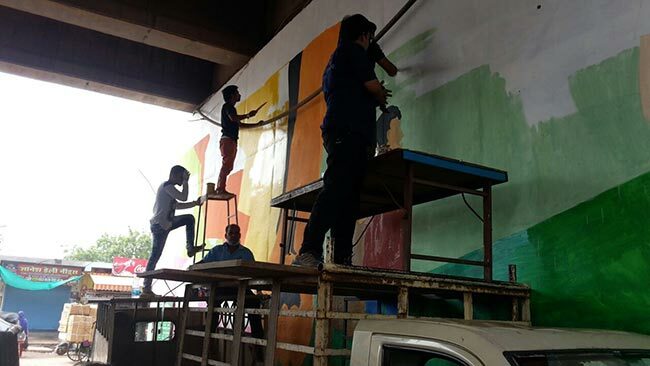 Besides making the entrance picturesque, some of the volunteers painted the walls with strong messages on several social causes. From the evil practice of child marriage, segregating dry and wet waste, domestic violence to keeping the environment clean, various art forms were crafted on the walls. Looking at the amount of hardwork and hours put towards this cleaning activity, city’s Mayor Pramod Dubey, RMC Commissioner Rajat Bansal along with other dignitaries were also present on the last day and appreciated the efforts of these volunteers adds Satish. This wasn’t the first time for members of ‘bunch of fools’ to take up mass cleaning activity. Infact it was the city entrance was their 150th spot. This volunteering group which was formed in November 2014 has so far, dedicated 3,450 hours and cleared 1,73,500 sq. feet of area which is 87 per cent area of the city. Previous Post: This Professor From Gujarat Has Built 6,000 Toilets In 34 Villages.